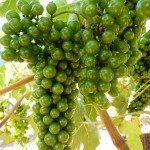 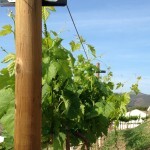 After a short winter, our weather got hot very quickly, and the vineyard came back to life on the early side. 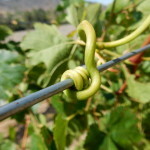 Most of our plants are doing beautifully, and we have tons of new growth. 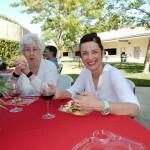 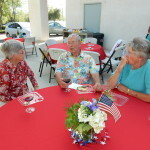 In celebration of our newly placed telescoping flagpole, we gathered on the church “patio” on June 14th – Flag Day. 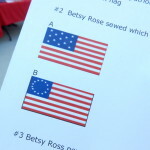 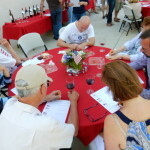 The weather was perfect, and we sipped, nibbled, and struggled through a quiz on the stars and stripes. 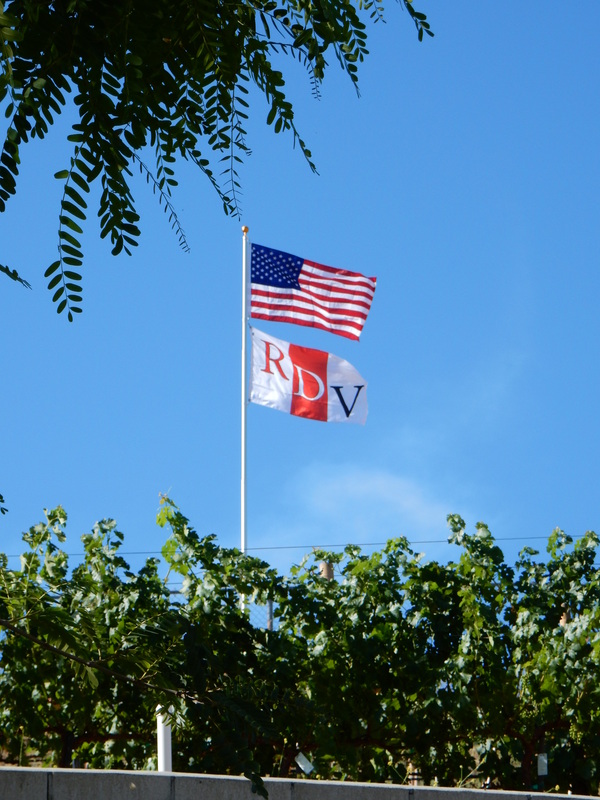 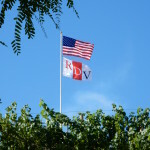 Raising the RDV flag beneath Old Glory for the first time was a moving experience. 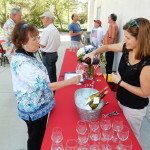 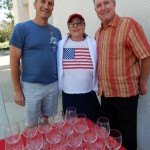 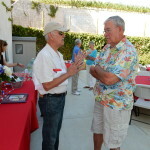 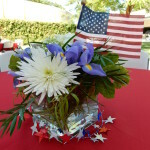 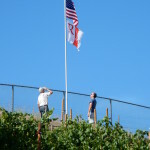 God Bless America… and God Bless the Red Door Vineyard!